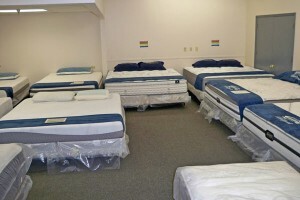 Best Value Mattress Warehouse has been selling the great products from Southerland since early in our own history. The Southerland family has been making great beds for over 119 years. It’s their dedication to making it right that lets you sleep with a smile, and wake up with a sense of purpose. While the business of high quality sleep changed a lot over all these years – the technology is shinier, the marketing is digital, the mattresses are better – Everything at Southerland still starts the same way, by putting the customers first. Building strong communities, forging enduring relationships and creating jobs all across the United States have been some of the proudest achievements. Southerland takes to heart the happiness and satisfaction of its employees and its customers- it’s the only way they know how to do business. So wherever you decide to rest your head tonight, rest easy knowing Southerland has been making it right for a long, long time, and they’re going to do the same thing tomorrow and the next day and the day after that. 1893 The story begins in Evansville, IN, a small mattress company opens that will later join the Southerland family. 1924 JD Southerland becomes a mattress man in Nashville, TN, and begins dreaming big for his family and yours. 1929-1965 JD Southerland expands the Southerland family, bringing Tennessee some of the best sleep its ever had. 1966 Herman Southerland joins his Uncle JD and learns the business- put customers first. 1971 JD Southerland’s daughter Frances, a schoolteacher, inherits the company from her father. 1973 The company changes its name to Southerland as Herman Southerland becomes president, making his family proud. 1994 Herman Southerland becomes owner of Southerland and begins looking for more good folks to help run his family’s pride and joy. 1996 Bryan Smith joins the Southerland family business as the CFO. 2002 Southerland opens a post in Phoenix, AZ, setting the stage for future growth. 2008 Oklahoma City, OK welcomes Southerland’s 3rd manufacturing facility enabling the company to readily service customers coast-to-coast. 2010 Stephen Russo, Bryan Smith, and David Corbin take the lead at Southerland, the company becomes a 100% ESOP and the mattresses keep getting more comfortable.